Online Music Store How To Set Up Parental Controls On Roku Ultra, Roku Premier and Roku Express Plus? Technology is a space that is evolving every single day,and this has an impact on almost every area of our lives. People rely so much on technology today such that it is hard to imagine some tasks were accomplished before the advent of technology. The entertainment industry has seen tremendous changes in technology today. Everything from movies, TV series, documentaries and music can be accessed online. Apart from this, you can also watch TV online or listen to your favourite radio station online. This is convenience at its best because you can access content anywhere you are as long as you are connected to the internet. Cable TV has now been replaced by streaming devices. Instead of paying a lot of money for entertainment, you can pay for a streaming device, enjoy everything from movies, TV series and music via the streaming devices. Roku streaming devices are some of the best and cheap streaming devices out there. These devices also change with technology, and there are five of them all offering streaming options but with different features and specifications. With this kind of convenience where you can stream all types of content on your Roku device, it becomes a concern for parents. You have to control what your children are watching, what time and for how long they can watch. Content is available rated for different ages,and as a parent, control is crucial to ensure kids don’t stumble onto adult content. This is one reason why setting parental controls on your Roku devices is essential. With all the Roku devices, you must set up a PIN for your Roku account to enforce parental controls. It is also safe to create a PIN to ensure your account is not used to complete purchases without your knowledge. Once you create a PIN, it must be entered to authorise any transaction at the Roku Channel Store. This PIN is required when adding or removing channels, movies and shows. However, the PIN doesn’t filter, block or restrict content. The job is left to the parents. 2. Underneath PIN preferences, select update. 3. Select the option to always prompt for the PIN when making purchases and adding items from the channels store. The best parental control for Roku streaming devices is removing channels that provide rated content or content not suitable for kids. Once you have created the PIN, you can easily remove channels rendering them inaccessible to kids if it’s appropriate. You can also hide items like Movie Store, News and TV store from the main screen. This is as far as parental controls on Roku devices go. To emphasize that, Roku states that they do not regulate the kind of content offered by every channel provider. It is the responsibility of the channel provider to provide the appropriate parental controls for their content within the channel. This goes all the way to state that Roku will not filter content for you. 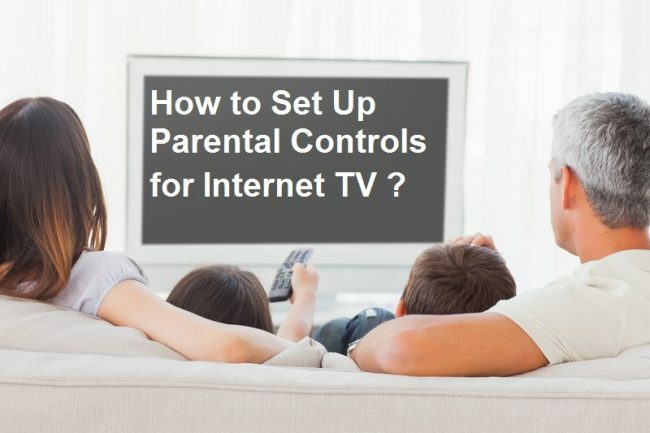 However, different channels like Amazon, Netflix, YouTube, HBO GO, VUDU, Sling TV and others provide individual parental control settings. But remember not all channels offer these settings so if it’s appropriate, you can remove the ones you don’t want from your device. You can tell the type of content provided by different channels, making it easier for you to effect parental controls. It is the responsibility of every channel provider to indicate how content within that channel is rated. •	Rated All Ages – The content within this channel is appropriate for all ages. •	Content Rated – The content within this channel is rated according to the typical movie and TV show rating. •	Content Not Rated – The content on this channel is not rated according to the standard TV shows and movie ratings. This information gives you better insight on which channels to remove and which ones to keep. The channels with content rated for all ages is the most appropriate for kids.